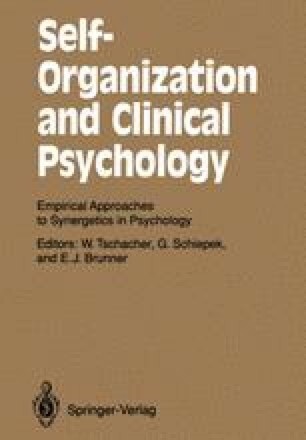 In reviewing the current state of the art regarding the origin, development, and the therapy of psychological and psychosomatic disorders, one readily notices the diversity and complexity of the collected literature. Different areas of research, from the biological sciences to social and cultural studies, have contributed to the understanding of the causes and etiologies of these disorders. Multiple proposals and ideas have been generated towards the goal of developing more effective treatment strategies. Most of these theories are theories of a “middle range”, in Merton’s sense of this term, which attempt to describe and explain only partial aspects of clinical phenomena. Far-reaching, all-inclusive or integrative theories which regard both the biological as well as psychosocial aspects of these disorders have not been fully developed. A reference or starting point for this development was Engel’s (1977) suggestion that medical science adopt a bio-psycho-social paradigm of illness and treatment in place of the dominant biomedical model. For valuable assistance with this manuscript, I would like to thank the editors of this volume, my co-workers at the Institute for Marriage and Family Therapy and my wife Stella Reiter-Theil. Translation from original German: Margit Kellenbenz Epstein, Dipl.-Psych., Eugene K. Epstein, MSW.